These are pictures of people washing clothes manually in Rural India. This first one is of a woman in an orange sari scrubbing clothes with her hand, lathering the clothes, as she sits on her haunches near pots of water drawn from a well. All these people in rural India use natural sources of water to wash clothes, like wells and rivers. Women bending over buckets of clothes soaked in soapy water next to a well. 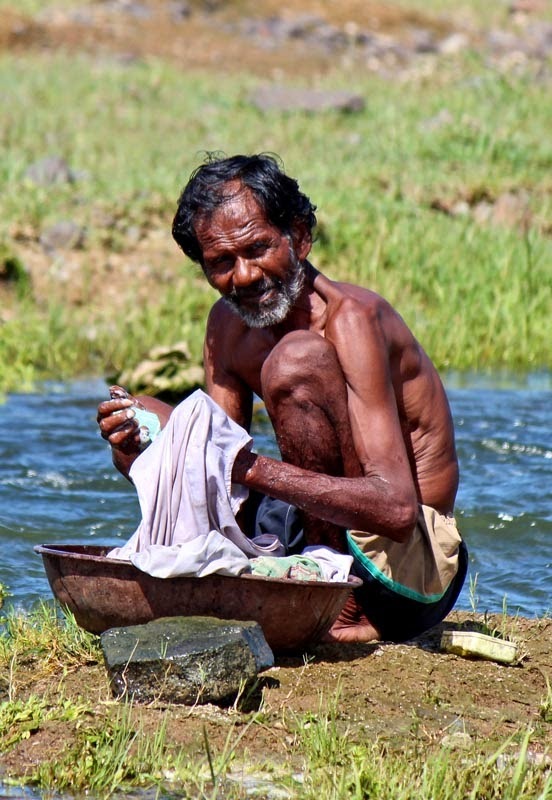 An old man scrubbing clothes with a detergent bar next to a river. A long shot of the same man sitting hunched on the river side washing clothes by hand.